Making resolutions each January is the easy part. Sticking to them beyond, say, February, that’s the tricky part. It’s not necessarily the goals themselves that are failing you, though—it could be the way you’re setting them, and the way you’re setting yourself up to implement them. Your goals and resolutions may be top of mind for you, and you may understand intuitively what they are and how you want to achieve them. But no matter how well you think you’ll be able to keep them in mind, write them down—on a Post-It, in your phone, in a spreadsheet; it doesn’t matter how or where. Just put it in writing. 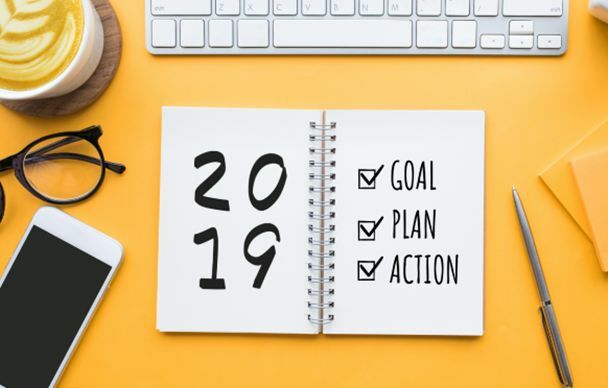 If you break your resolutions down into pieces throughout the year, it gives you a series of smaller goals that you can accomplish—making it easier to stay on track for the big goals. For example, if your main resolution is to get a new job this year, consider the components of that. You’ll need to update your resume, start looking for job openings, apply for job openings, upgrade your interview outfit, etc. Each of those steps is something you can do in the meantime, and feel good about checking each one off as you complete it.